Monsoon season is much awaited in India especially for the relief it provides from the scathing sun during summer. As much as monsoon is welcomed, you should also be alarmed of the hair and skin problems it brings, especially dandruff, itchy scalp, and dry hair. Aside from the obvious embarrassment, dandruff also renders scalp infections. So to help you stay on the safe and healthy side, Kaya Limited has introduced its new anti-dandruff shampoo with scalp purifying factor. Monsoon season is characterized by humidity present in the air, which will cause microorganisms like fungi and bacteria to proliferate on your scalp. On top of this, the fickle dry and wet weather conditions will lead to a compromise in your scalp’s barrier functions—this is a major reason for dandruff. So, you need a reliable anti-dandruff shampoo that will moisturize and soothe your scalp apart from controlling and preventing dandruff. How Kaya Can Help You? Addressing all the hair woes that are common during monsoon season, Kaya Limited has come up with its all-new anti-dandruff shampoo researched and developed by expert dermatologists. This shampoo exhibits three important functions: fighting and preventing dandruff with the help of Piroctone Olamine; purifying the scalp with the help of seaweed and algae extracts; and finally conditioning the hair with the help of Panthenol. The following are the functional benefits of using this shampoo. ● It is great for daily use as it is very gentle on your skin. ● It nourishes your scalp with nutritious ingredients like seaweed extracts and vitamin B5. ● It helps to not just remove the existing dandruff but also prevent from future occurrence. ● This shampoo helps you fight scaling of the scalp and restore its health. ● With its moisturizing property, the shampoo improves the condition and manageability of your hair. Directions To Use The Shampoo? Like mentioned above, this shampoo is mild and gentle, and so it can be used on a daily basis to both fighting dandruff and nourishing your hair. If you want best results, you can pair it with Kaya’s anti-dandruff lotion. If you want a clean scalp devoid of dandruff and scales, along with nourished and conditioned hair, then Kaya’s new anti-dandruff shampoo with scalp purifying factor will be your best friend. Just with Kaya’s other products that have helped hundreds of people all over the country, this shampoo too promises to bring cure to your worries. If you want to learn more about Kaya’s products and services, you can try reading some of Kaya Skin Clinic reviews to get yourself started. It is not a pleasant sight to behold the aging signs of your skin. If you’re in your middle age, you will inevitably encounter some visible aging signs, especially on your face. This can be a source of great worry. Addressing this concern, Kaya Skin Clinic provides a range of anti-aging treatments for both men and women. Some of the most-common signs of aging include coarse skin texture, loose skin, uneven and dull skin tone, wrinkles and fine lines, apparent pores, loss of volume, and age spots. If you’re seeing one or more of these signs on your skin, then it is time you acted proactively. Kaya Skin Clinic provides anti-aging treatments that can give you the solution to your age-related skin problems. Here let’s take a look at some of the benefits you can get from Kaya’s anti-aging treatments. If your face is replete with wrinkles and fine lines, then you can get back its clarity through facial skin peeling treatment from Kaya. This treatment is suitable for all kinds of skin. It will erase the folds on your face and make it look clean and clear. Your hectic lifestyle can seriously affect your face and drain its volume, elasticity, and fullness. In this case, Kaya’s dermal filler treatment can come to your rescue. This treatment will restore your youth by filling you skin with hyaluronic acid. Now you can get back your fuller lips and firm cheek in just one session. Kaya’s laser resurfacing treatment is a very powerful solution to your facial scars, acne, and pigmentation problems. The laser beam penetrates through your skin and stimulates rapid healing without affecting the skin cells. It will also stimulate the production of collagen, which will ultimately make your skin look young. At Kaya, you can get the famous BOTOX treatment done from the hands of expert dermatologists. This treatment will get rid of all your wrinkles, creases, fine lines, and sagging skin. This procedure is US FDA approved and is completely safe. It provides a quick solution and the results will also be long lasting. You can read customer experiences regarding Kaya’s BOTOX treatment, visit Kaya Skin Clinic Reviews. Some people suffer from dry and itchy skin all round the year. It can be quite annoying and uncomfortable. If you are suffering from a similar problem, read this article to find out how you can avoid dry skin by following some simple tips. Scaly and itchy skin can be very irritating. Sometimes, when you scratch a dry area on your legs or hands, you might even end up drawing blood. It can be quite painful and ugly. But, the best thing is that the solutions to dry skin can be found easily. You don’t have to run to a dermatologist to get your flaky skin treated. This article lists out a few simple tips which will help you restore the natural oils in your skin, thereby making it feel soft and smooth. The first thing you should do to treat your dry skin is to use moisturizer religiously. 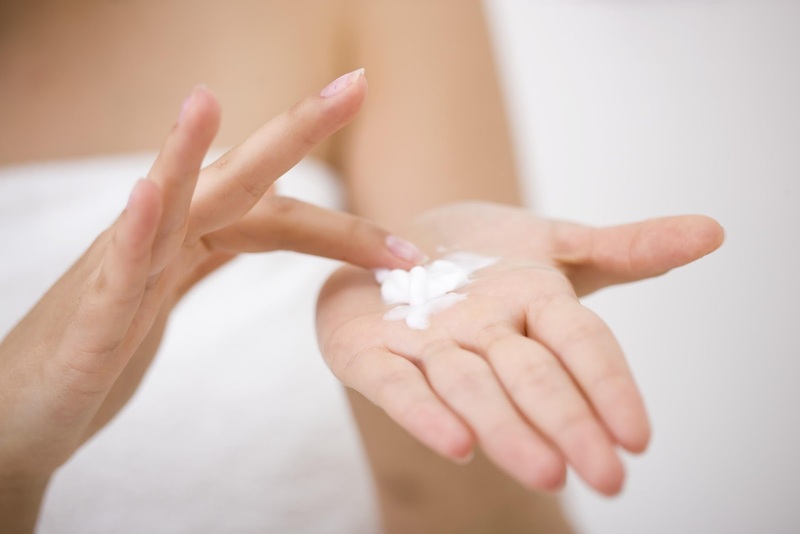 Always look for a moisturizer that is specially formulated for dry skin. As soon as you come out of the shower, apply a generous amount of moisturiser on your face and body to keep it hydrated. Carry it in your bag or purse so that you can re-apply it whenever your skin tends to feel dry. If you are healthy from inside, you will look healthy from outside. A little change in your diet will go a long way to make your skin glow. Drink at least 8 to 10 glasses of water everyday to keep your skin hydrated from within. This is one of the easiest ways to take care of your skin. Do you love sitting in a bathtub filled with aromatic hot water? Well, that can be quite relaxing but it is not doing any good to your dry skin. Hot water will strip your skin off its natural oils. Always take shower with lukewarm water and don’t extend it beyond 10 minutes. Treat your skin with some TLC everyday and it will thank you by making you look radiant. You might love to know about customers experience, read here: Kaya skin clinic review. Selenium—Miracle Mineral Or Anti-Aging Hoax? Are you wondering whether popular remedies against signs of aging will really help reduce them? 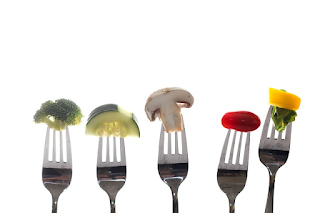 It is natural to be wary of commonly prescribed treatments like Selenium. After all, there’s a lot of doubt surrounding the effectiveness of the mineral and fear regarding its side effects. But does it really work? Selenium is a mineral that has antioxidant properties which can protect your skin from turning coarse and dry. It has the capacity to fortify your body against cancer and offers many such benefits. It is suggested as a good anti-aging agent because it can retain tissue elasticity and slow down signs of aging. It also protects the skin from another important factor which causes aging, free radical damage. The presence of selenium in your body can also enhance the vitamin E substances which will further augment the youthfulness of your looks. Selenium is usually found in natural sources like mushrooms, egg yolks and seafood. This mineral works best when consumed because it is not easily absorbed by the skin. This is perhaps why creams containing selenium have been deemed useless and ineffective at reversing wrinkles and fine lines. They do not work completely when topically applied on the skin. You must increase your intake of selenium along with vitamin E substances which jointly enhance the features of your skin. Tests have proven that selenium can indeed slow down the process of aging and reduce wrinkles if taken in the right concentrations. You should keep your doses low if you regularly take dietary selenium for preventing aging as they can have adverse side effects that can lead to skin cancer. The following foods are the natural sources of selenium that guarantee healthy skin and reduced effects of aging. 1. Vegetables including garlic, onions, tomatoes, and broccoli. 2. Salt and fresh water fish including cod, tuna, and herring. 3. Meats like beef and poultry. You can learn more about effective and natural anti-aging remedies from a skin care expert. Review some feedbacks of a clinic and contact the one that strikes you as the best of the lot. Start your search by viewing some of Kaya Skin Clinic reviews. Once you notice budding symptoms of Vitiligo, it is understandable if you get scared and run for a Vitiligo treatment. Apart from professional help, you can easily help yourself with minor changes in your daily diet. Following a Vitiligo diet will help you slow down or even stop the pigment loss effectively. Vitiligo occurs because the cells that produce melanin either die or simply stop producing it. This causes white patches with non-uniform shapes that slowly enlarge on various areas of the skin. One essential remedy is to follow a Vitiligo diet. But there is no ‘Vitiligo diet’ as such, so I would suggest consulting a doctor before acting on an advice. Fret not, consulting a skin specialist won’t be making any holes in your pockets. You can do some online research to find a suitable doctor for you. For example, try out Kaya skin clinic prices for some affordable skin solutions. However, changing your eating habits to a more healthier way won’t have any side effects on your health. So you can readily consider following the below ‘Vitiligo diet’. 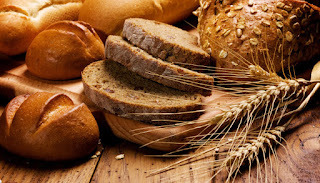 Whole grains make a vital part of a Vitiligo diet as they are rich in fibre, vitamins, and minerals. You should consider having food items that are rich in Vitamin E as they help you improve your immune system and keep your skin healthy. Oats, being high in vitamin E, will be an ideal addition to your daily diet. Yeah, we all know vegetables are part of all healthy diets. 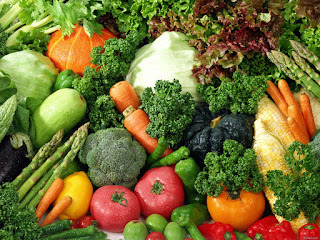 But there are certain veggies that are specifically useful for Vitiligo cure. Vegetables like spinach, garlic, and cabbage are rich in skin regenerating nutrients and will be good options for your Vitiligo diet plan. Oh yes! 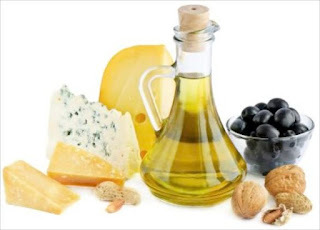 There are some fats that can be beneficial if taken in right proportions. Olive oil contains such fats and is easy to add to your dietary regimen. A wide range of nuts are also a good source of healthy fats in addition to protein. One of India’s leading skincare experts, Kaya Skin Clinic offers a diverse range of services targeted at women and men of different ages. Kaya has a dedicated team of inhouse expert dermatologists and skincare professionals who treat patients with skill and precision. In this article, we will see the treatments and their benefits offered by Kaya to people with different skin problems. What Can You Expect From Kaya? Various skin problems like acne, wrinkles and fine lines, aging, scars, tanning, pigmentation, and unwanted hair growth are expertly treated at Kaya. People across the nation have benefitted from Kaya’s services. Now let’s take a look at some of the popular treatments provided here. At Kaya, both men and women can get beauty facials for various purposes and requirements. You can get a basic facial that contains cleansing, exfoliating, and nourishing your skin with a facial mask or go for advanced facials that incorporate innovative technologies like aqua jet technology and exotic ingredients like pure gold dust. These advanced facials can deeply cleanse your skin and make it clear and smooth. It can be a pigmentation mark that you want to reduce, dark circles under your eyes you want to get rid of, or generally increase the clarity and fairness of your skin: all these concerns are addressed by Kaya’s fairness treatments, which are directed at both women and men. If you’re a sufferer of frequent and violent acne breakouts or you have thick scars that blemishe your face, you can get rid of them at Kaya. Kaya incorporates advanced services and technologies like dermaroller, aqua jet infusion, and laser to remove the blemishes on your skin. Kaya provides bridal services to both brides and grooms. In addition to them, their family and friends can also get bridal services from Kaya. This makes Kaya’s services suitable for all kinds of people. All these services mentioned above are handled by experts, which gives Kaya Skin Clinic a certain edge over other skin clinics. The safety measures are stringently followed at Kaya, giving its customers a satisfied overall experience. There are many Kaya Skin Clinic reviews given by satisfied customers that tell about the effective treatment provided here, as Kaya values its customers and approach them in a welcoming manner. 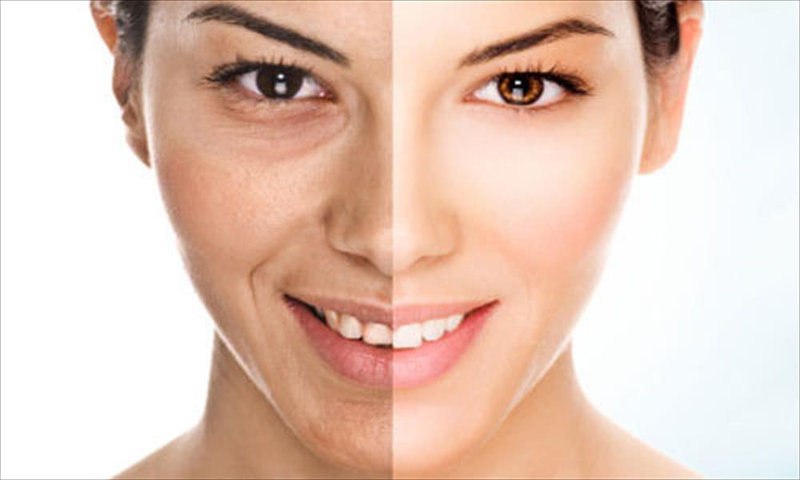 A photofacial is usually done to remove dark spots or skin irregularities. But, it is very important to know when you should opt for an IPL Photofacial. Read this article to find out if you are suitable for an IPL Photofacial session. There are two kinds of photofacials namely LED Photofacial and IPL Photofacial. If you have been considering an IPL Photofacial, it is advisable to learn about the procedure and its requirements. IPL Photofacial has been effective in treating only certain kinds of skin problems. Before choosing a treatment, you might consider reading more about photofacials in general. It is also important to choose a good clinic to get the best results. While you are looking for good clinics, you may want to visit Kaya Website to learn about their products and services. IPL Photofacial rejuvenates your skin by projecting a large amount of light on your face. This treatment can treat a number of skin problems like brown spots, spider veins, broken capillaries, and facial redness. IPL Photofacial is an excellent choice for treating Rosacea. However, this procedure is not suitable for dark-skinned people. And if you have tanned skin, it is advisable to avoid this treatment. Do you want to remove those horrible sun spots? If yes, then IPL Photofacial is your answer. It is a good procedure for improving the quality of your skin. The treatment stimulates growth of collagen, which improves the texture of your skin and makes you look young. The best thing about IPL Photofacial is that it can be combined with a number of other photorejuvenation treatments like chemical peels and microdermabrasion. An IPL Photofacial must be followed by a regular skin care regimen for long lasting results. Is it embarrassing to see that you are well past your teenage years and your face is still dotted with acne? People say that only teenagers get acne because of their changing bodies. But this is only a misconceived notion, and you are not alone. Adult acne is a common problem, and it is easy to tackle once you keep in mind these few essential tips. There are many advanced reasons behind the acne that appears on the skin of an adult. Some of them might relate to stressful lifestyles, unhealthy food habits, menopausal problems, and birth control. They can be quite troubling when you have an impression to make at an interview or on a date. Follow these easy tips regularly to prevent acne. One of the most basic measures you can take to prevent acne is to wash your face twice daily. You can use a gentle cleanser that washes away dirt and makeup effectively without being harsh on your skin. Rub your skin with your fingers in light, circular movements and use a soft baby washcloth to dry. Retinoids have the capacity to unclog pores. 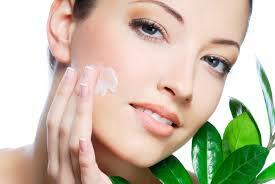 Creams with a concentration of retinoids can clear your skin of acne and prevent outbreaks. Use them no more than once a day after 30 minutes of washing your face. They will keep your skin clean and free of substances that cause acne. If your skin is susceptible to acne breakout, you should avoid slapping on heavy makeup on your face. Try to stop using foundation creams, blushes, and powders that have oils and harmful chemicals. If you do wear makeup, make sure that you thoroughly wash it off at the end of day to reduce the possibility of having deposits in your pores which lead to pimples. Shampoos that are made of heavy chemicals can get on your facial skin and block your pores. This will cause irritation and inflammation. You can switch to milder, herbal shampoos that will not be too harsh on your skin. If you opt for professional care, make sure you read reviews of the skin clinic before you decide to visit. For instance, you can read about Kaya laser treatments before contacting their skin experts for an appointment.